A delicious, milk chocolate. Top notes of fruity butter and nuances of jasmine. Middle notes of chocolate, sweet honey, rose and coriander seed. A creamy vanilla and powder at the base. 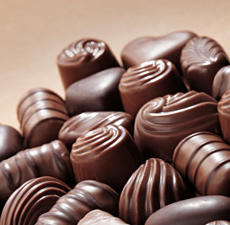 Chocolate has been used as a drink for nearly all of its history. The earliest record of using chocolate dates back before the Olmec. In November 2007, archaeologists reported finding evidence of the oldest known cultivation and use of cacao at a site in Puerto Escondido, Honduras, dating from about 1100 to 1400 BC.